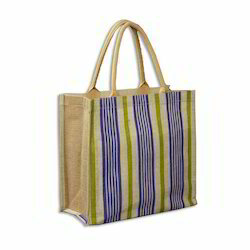 An attractive range of jute hand bags for our clients that are manufactured using fine quality jute fabric. Different colors combination and styles of our range of jute hand bags provide these with a unique and attractive look. The bags are ideal as gift basket, as carry bags etc. Beautiful and extremely appealing high-fashion handbags, made of jute have found a lot of buyers in the domestic as well as international handicrafts market. Handbags are crafted to be used for casual or formal use. Highly decorated fancy handbags may be used as party handbags as well. 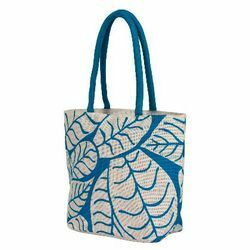 Made of eco-friendly jute fabric, these handbags come in natural, dyed and printed designs.